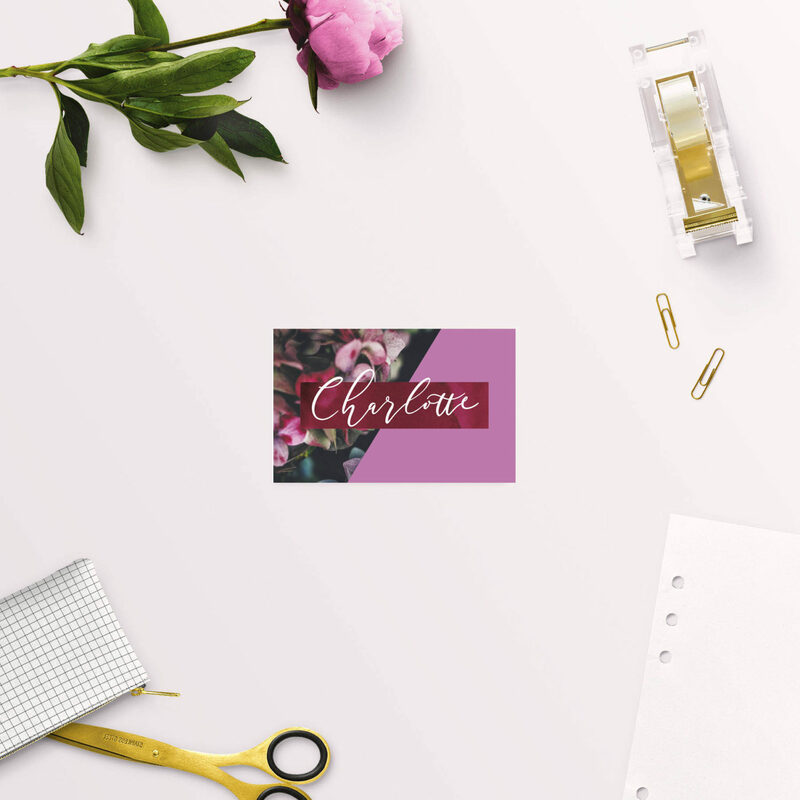 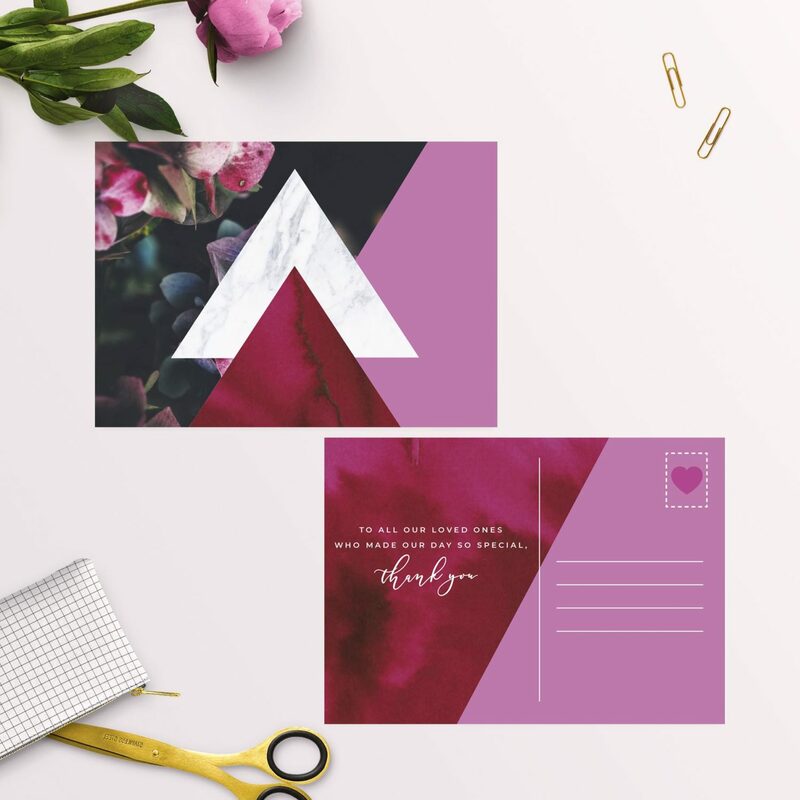 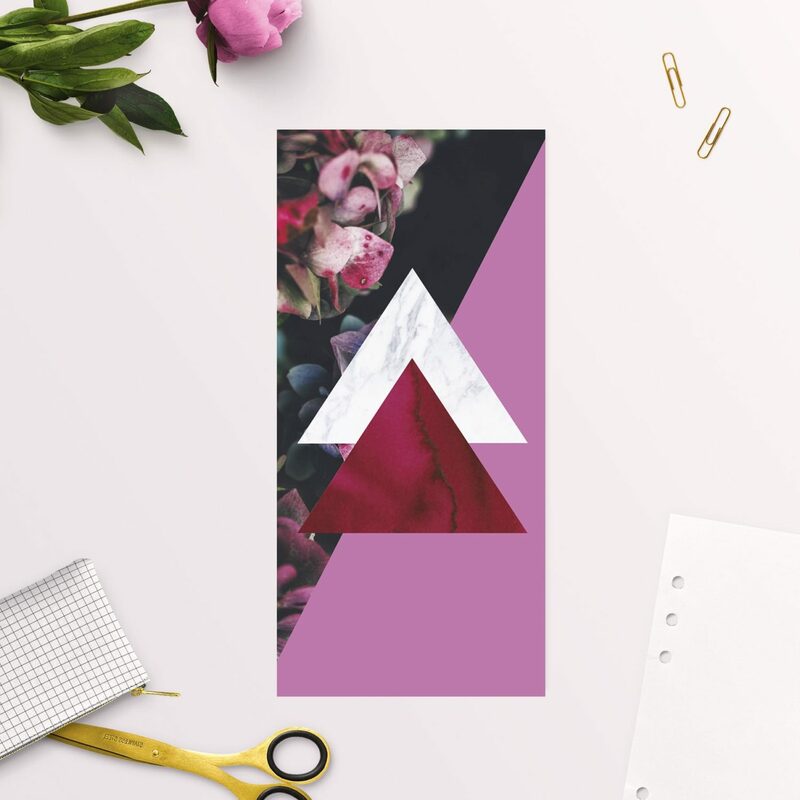 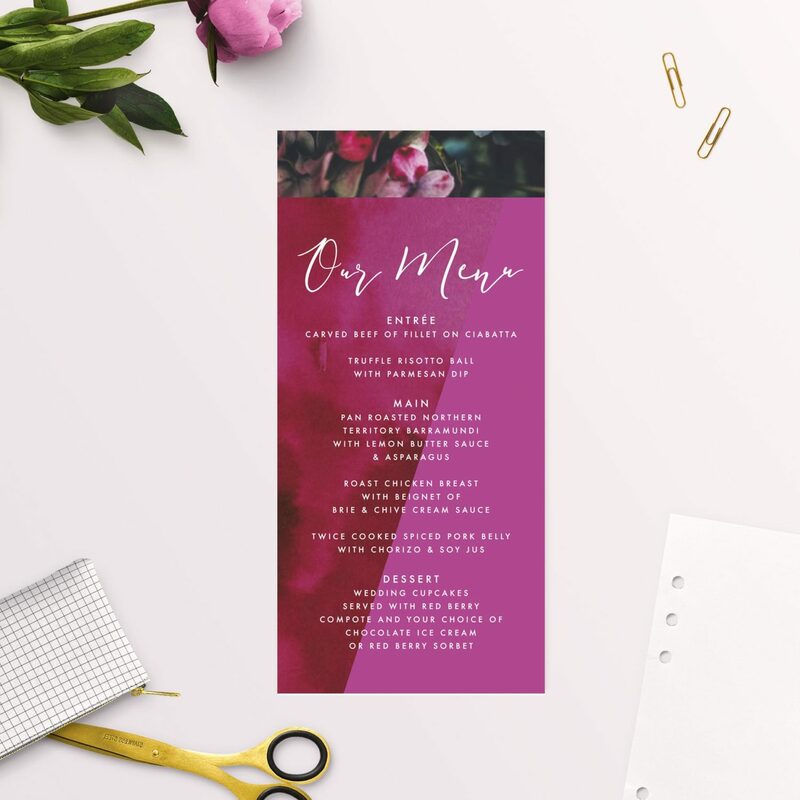 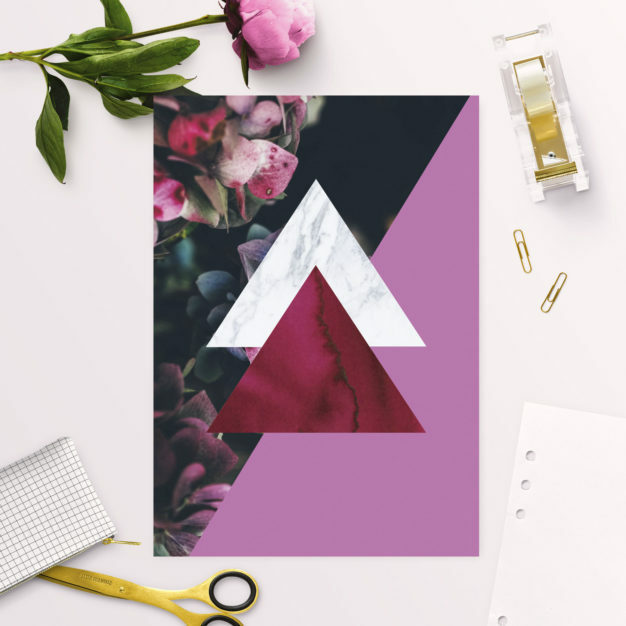 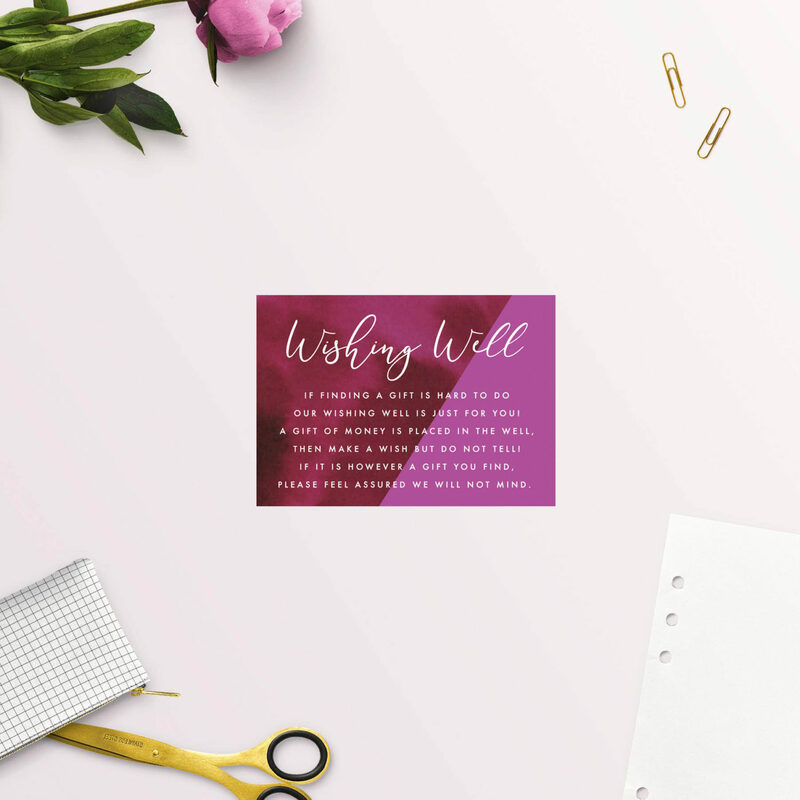 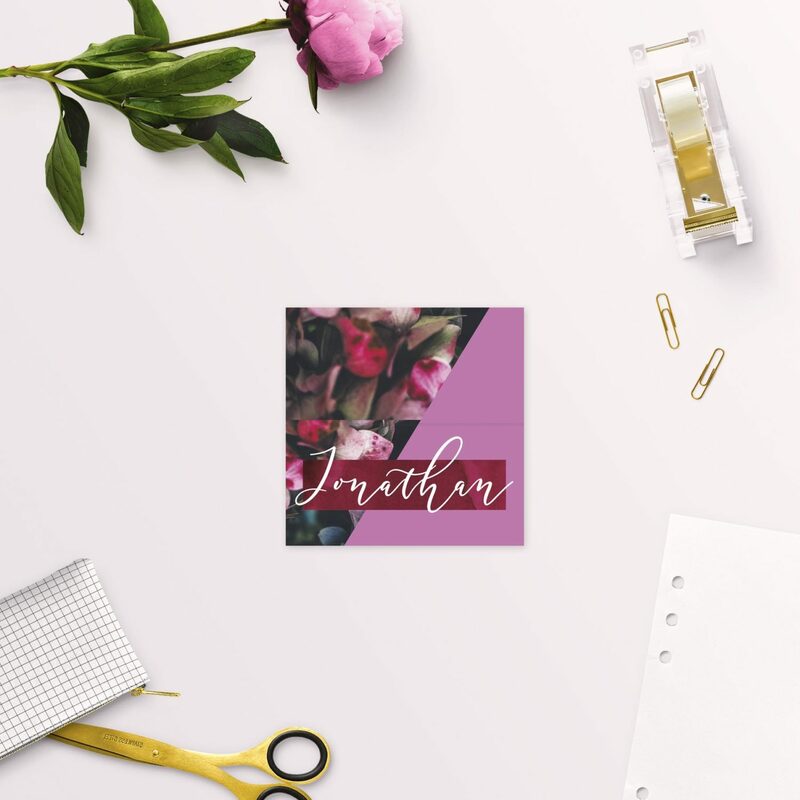 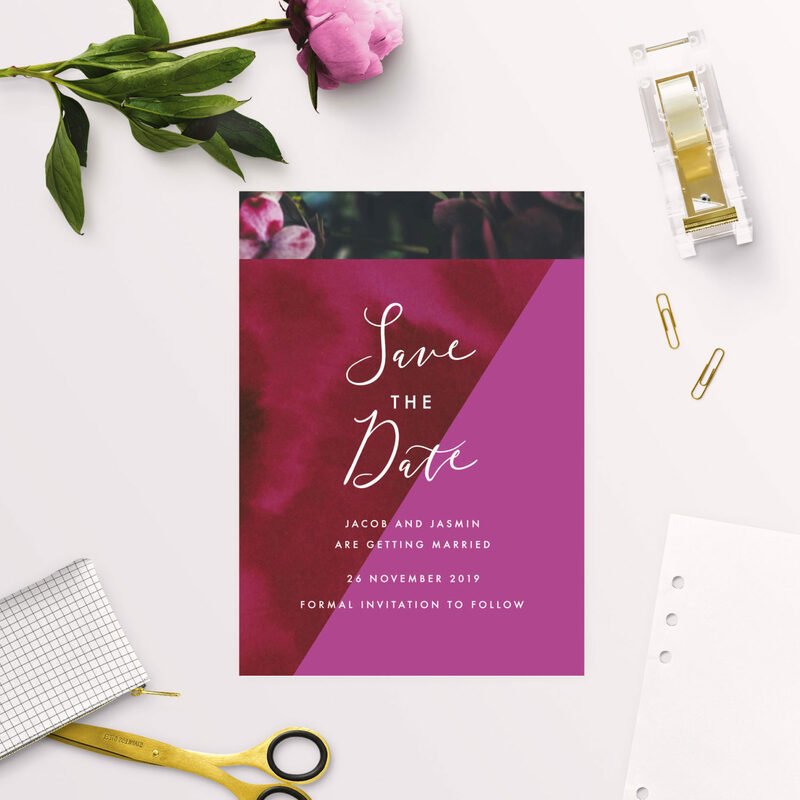 Our Burgundy Floral Bright Pink Geometric Wedding Invitations are oh so stylish with gorgeous hues of crimson and stunning solid fuchsia blocking. 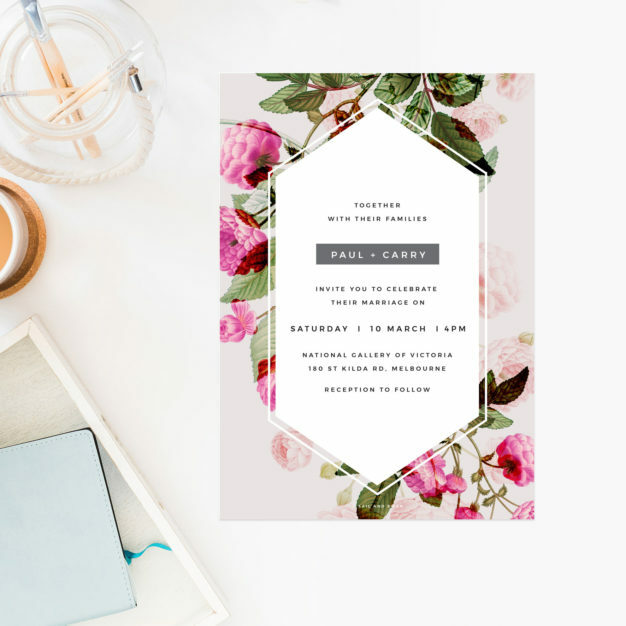 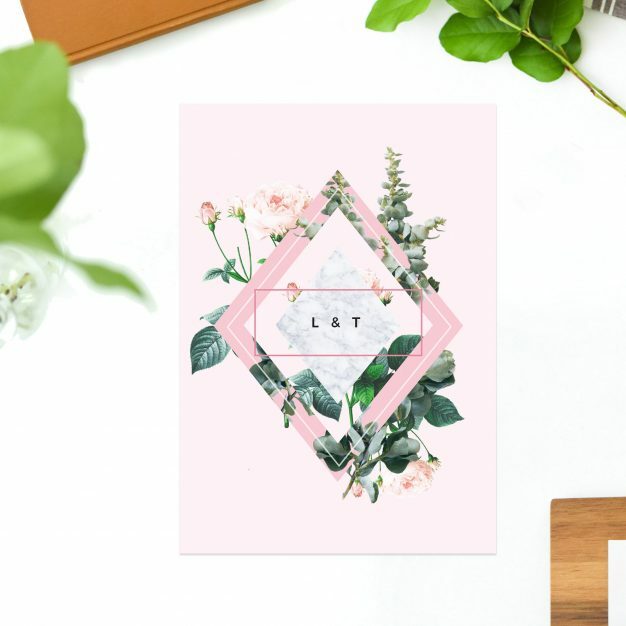 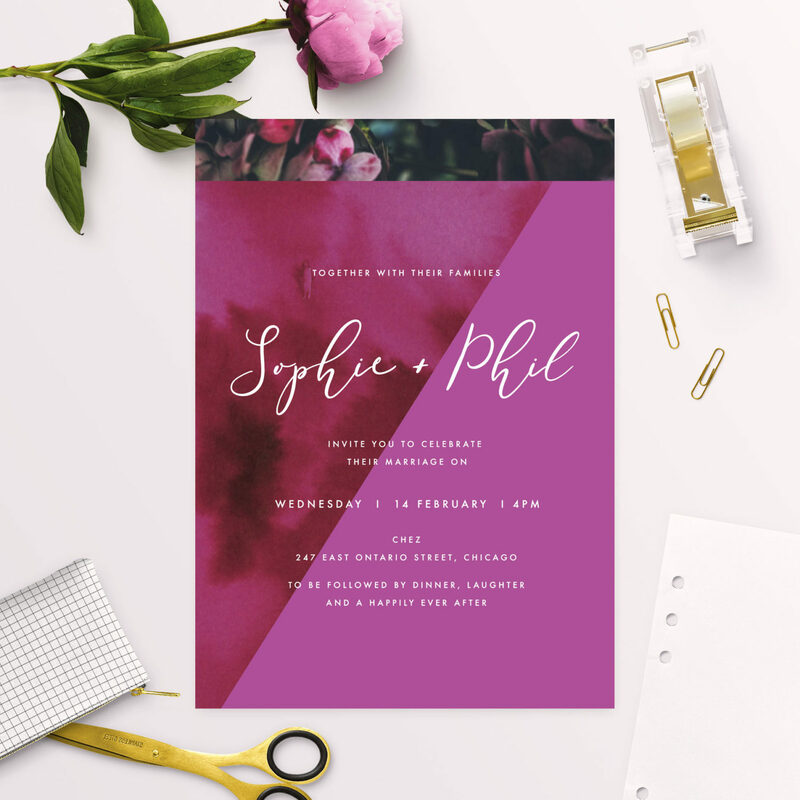 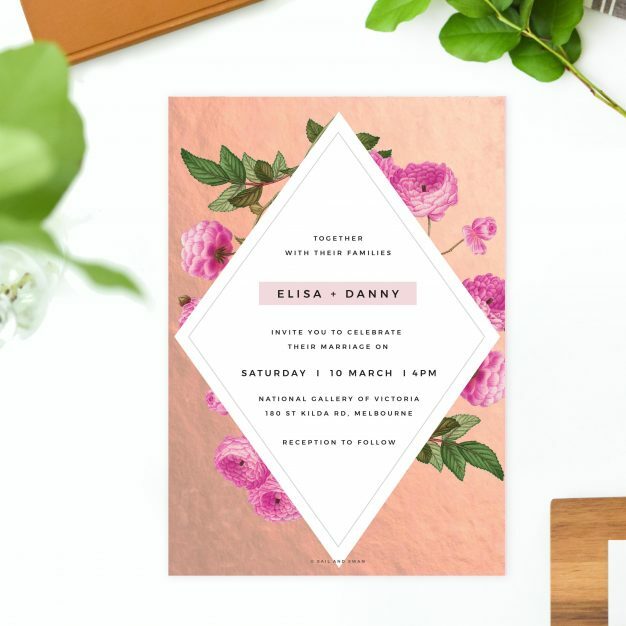 A striking modern white script font and touches of pretty hydrangea petals finish off these bold yet feminine invitations. 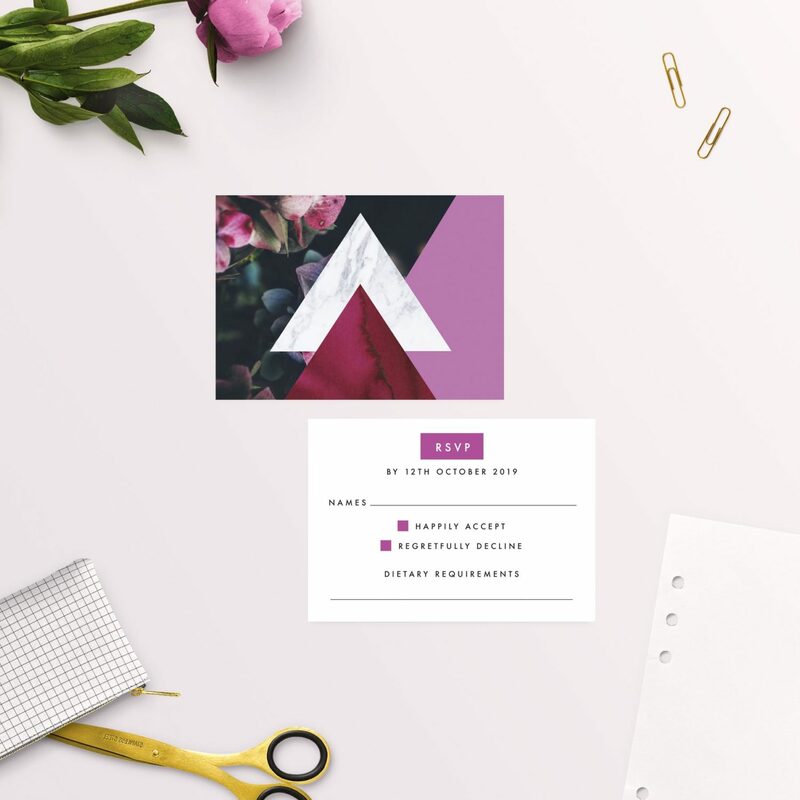 White Envelopes come included for free. 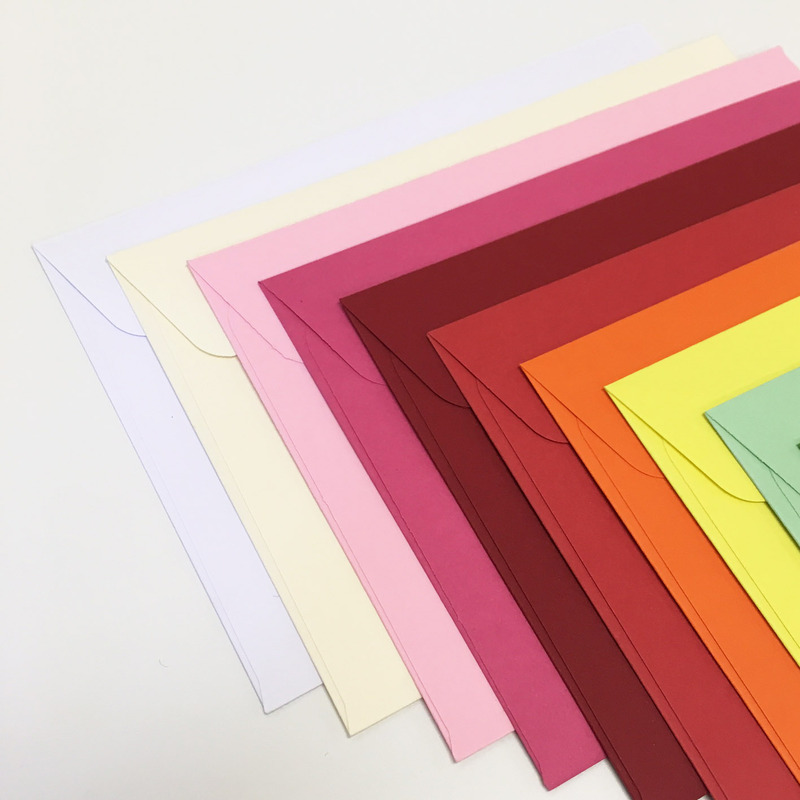 Additional colours are $1 each plus GST. 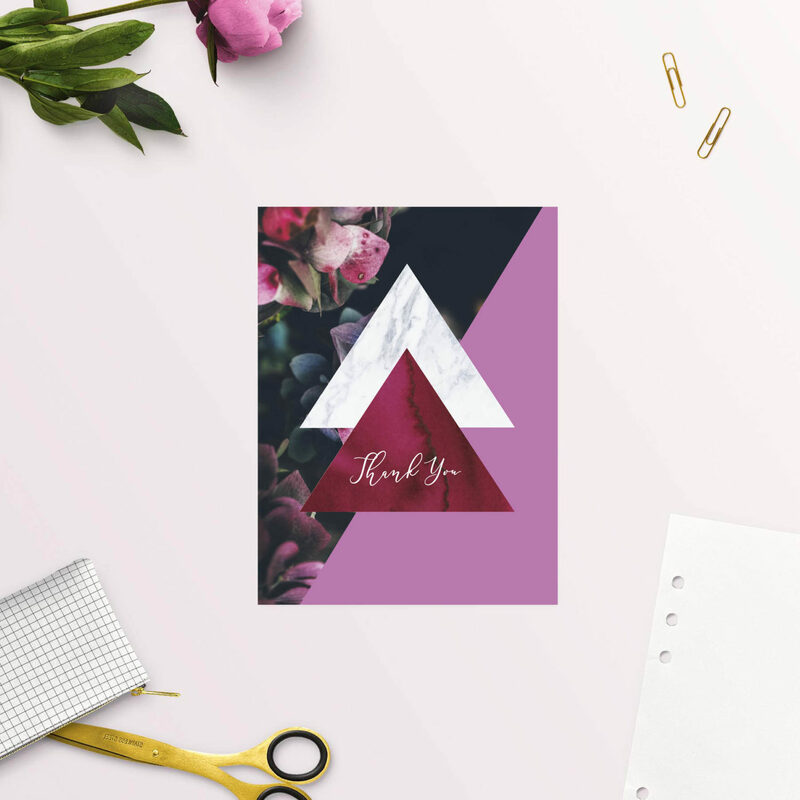 Folded Thank You Cards inc Env. 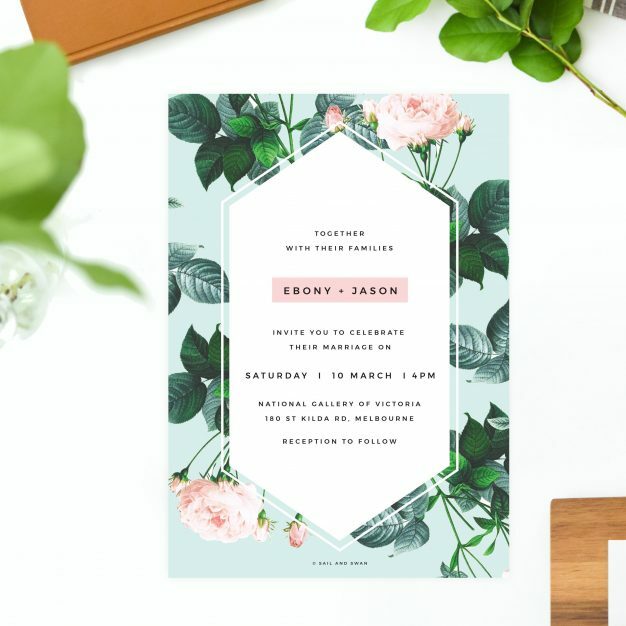 Proofs: Once your order has been placed, we will send you a Details Form and create a personalised and digital Proof of your designs for approval before printing.